"The world should never forget the spot where once stood the Liberty Tree, so famous in your annals." 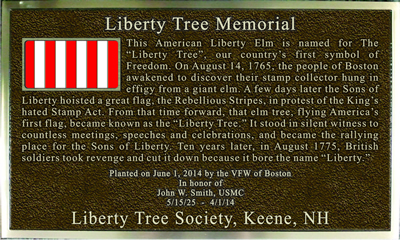 We have established the Liberty Tree Society to celebrate America’s first symbol of freedom. 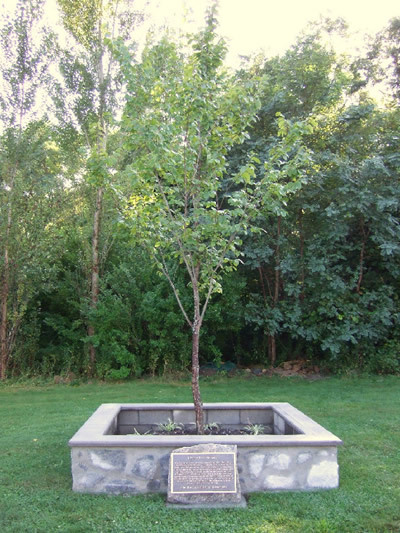 Our goal is to establish Liberty Tree Memorials, living tributes to our country’s freedom, in schoolyards, on city streets, college campuses and backyards across the nation. 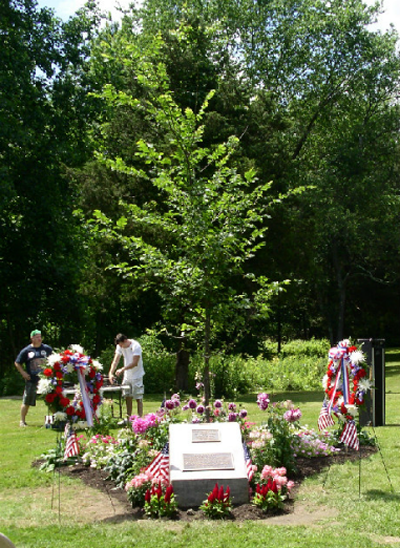 To date, over 1,000 such memorials have been dedicated in 42 states. 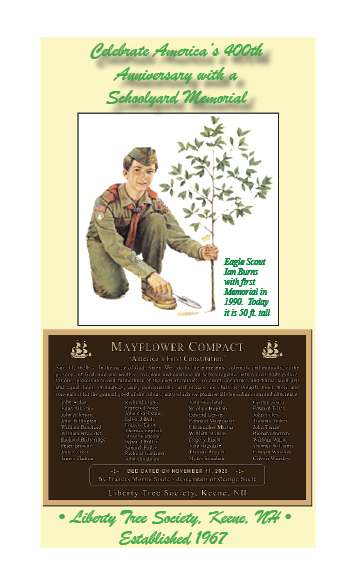 2) Leave a Bequest or set up a Gift Annuity for the benefit of the Liberty Tree Society.